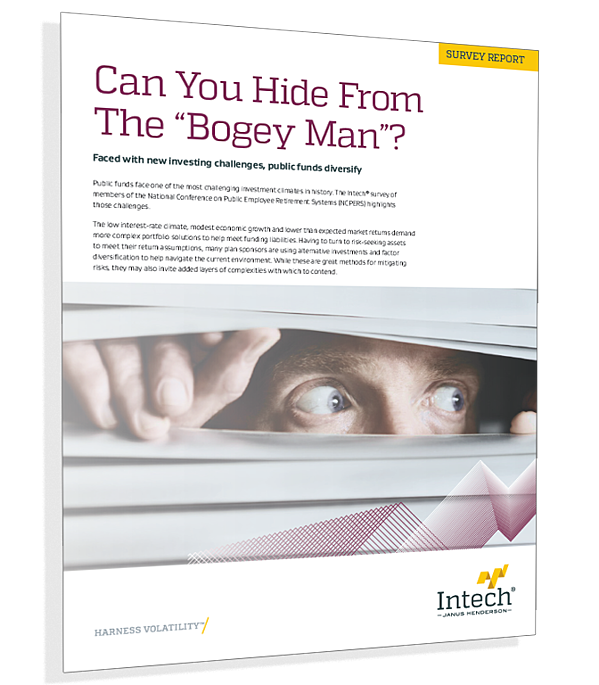 Can You Hide From The "Bogey Man"? Public funds face a daunting investment climate. The prolonged low interest-rate climate, modest economic growth, and lower expected future market returns demand more complex portfolio solutions to help meet funding liabilities. The Intech® survey of public funds reveals how they plan to address this new plan reality. Discover how your peers are navigating today’s market risks. What return assumptions do they use? What are their top investing challenges? What risk management tools do they employ?